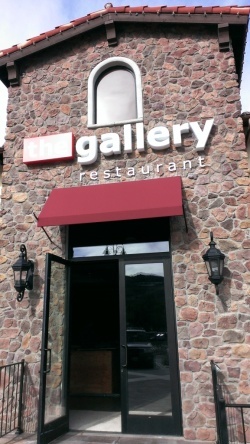 Update 4/17/15: The Gallery Restaurant has announced that it is now open. Over the last 12 months, The Shoppes at Westlake on Russell Ranch Road off of Lindero Canyon Road has been moving right along, with the opening of the Target store in July, followed by Total Woman Gym, Jeannine's Gourmet Food Hall, Hook Burger, Greens Up, In-N-Out Burger and others in 2014. Among others opening at The Shoppes in 2015, The Gallery Seafood and Chophouse Restaurant is coming soon. The Gallery will feature fresh seafood, chops, oysters, innovative cocktails and more in 3,180 sq ft plus and additional 540 sq ft of outdoor seating areas. The Gallery is located on the west side of The Shoppes, a few doors away from Hook Burger. Other eateries anticipated to open soon at The Shoppes include Pick Up Stix (opened late March 2015), Olio e Limone Ristorante, Olio Pizzeria, Los Agaves Restaurant, Figueroa Mountain Brewing Co.’s Westlake Village taproom, Which Wich and TIFA Chocolate and Gelato (opened late January). Other retail stores opening this year at The Shoppes include Tilly's, Guitar Center, Sports Clips and others. Visit shoppesatwestlakevillage.com for more information.